"a result that leapt off the page at us when studying the form is his 2018 stoppage of Jorge Linares, the experienced Venezuelan who beat Crolla twice on points"
Little more than four months after watching Tyson Fury go agonisingly close to pulling off a famous upset over Deontay Wilder at the Staples Center in Los Angeles, British fight fans are back at the famous sports arena as another of their own, written off by the masses, looks to claim a famous victory in front of the watching world. Anthony Crolla prepares to share a ring with the supremely talented Vasyl Lomachenko. To win the WBA and WBO world lightweight titles on the line, the Englishman must beat one of the most feared fighters on the circuit at the minute, as well as defy the expectations of bookmakers who make this a wasted journey. 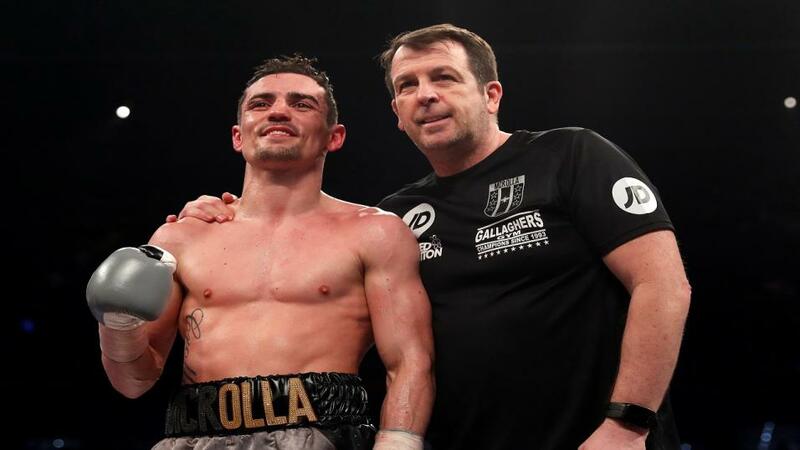 Anthony Crolla travels on the back of a three-fight winning run, with that hat-trick including an all-British clash with three-weight world champion Ricky Burns. 32-year-old Crolla returned from back-to-back defeats at the hands of old rival Jorge Linares to outpoint the Glaswegian over 12 rounds in October 2017. That helped get the Manchester fighter's career back on track and he followed that with a pair of wins over Edson Ramirez and, most recently, Daud Yordan. Million Dollar impressed when securing a 12-round points win over Indonesian fighter Yordan (38-4-0) at the Manchester Arena on the undercard of Tony Bellew v Aleksandr Usyk late last year, easing his way to a 116-112 win on all three scorecards. Despite winning three on the bounce and losing only to Jorge Linares since 2012, fight fans were understandably shocked when the news broke Crolla had been chosen to face Lomachenko. At the time of the announcement many thought it a joke, others cried such a mismatch was bad for boxing but on Saturday the ambitious Brit will put it all on the line in an attempt at making history. Betfair Exchange users, like most others, think it'll be a wasted trip and offer Crolla as a  no-hoper who is just there to make up the numbers. The method of victory market, as you would expect, offers bigger prices. Each of Crolla's last three wins have come on the scorecards but him winning over the judges on American soil is unlikely, the Betfair Sportsbook giving a points win at a staggering 50/1. Despite bringing a lowly 30% knockout average, the KO/TKO is priced a more likely outcome, with 33/1 on the table. When eventually turning professional following a glittering amateur career, Vasiliy Lomachenko was expected to dominate the lighter weights before moving through the divisions to make a lasting mark on boxing. The Californian-based Ukrainian's background meant he was fast-tracked to success and handlers signalled their intentions when putting him in with Jose Ramirez on debut for the WBO International featherweight title, an opponent with a respected 25-3-0 record. Lomachenko got his career off to a winning start with a fourth-round TKO, but met his match next time out, losing to Orlando Salido (41-12-2) with the vacant WBO featherweight world title on the line. Hi-Tech dropped a split decision that night but it did little to hamper his progress and the number one rated lightweight in the world has claimed WBO featherweight, WBO super featherweight, WBA lightweight and WBO lightweight world titles since. The 5ft 7inch southpaw was last seen beating Puerto Rican Jose Pedraza on points in front of an appreciative Madison Square Garden audience in December of last year, boxing his way to a comfortable 117-109, 119-107, 117-109 victory. The beaten man was sent to the canvas twice in round 11 but held on to hear the final bell. That form has won the hearts and minds of backers and those looking to support Lomachenko to beat Crolla will have to work a little harder for their profit with no more than [1.02] available on the Betfair Exchange. That'll force supporters into the method of victory market where they'll find the KO/TKO win chalked up as favourite on the Betfair Sportsbook with 1/6 available. The points win is 7/2, which is easier to back. Lomachenko's most famous win to date came when making light work of Cuban sensation Guillermo Rigondeaux in December of 2017 but a result that leapt off the page at us when studying the form is his 2018 stoppage of Jorge Linares, the experienced Venezuelan who beat Crolla twice on points. The favourite halted Golden Boy in 10 rounds that night and this one should follow a similar path. There's not a lot of value to be had in backing Lomachenko to do as expected, unless you fancy Crolla to last the distance, but we've found a bet worth having in the round group betting. Take the jolly to get the job done in rounds 7-12 at 7/5 on the Betfair Sportsbook. The OddsBoost on a win in rounds 7-9 (7/2 from 11/4) is also worth a look.